ESP32 has a Hall Effect Sensor near pin 22, just below and middle of the inscription “ESP32-WROOM-32”, inside the metal cover. Hall effect sensors measure the magnitude of a magnetic field as output voltage. Hall effect sensors are used for proximity sensing, positioning, speed detection, and current sensing applications. Hall sensor when combined with threshold detectors act as a switch. That is used in industrial applications such as pneumatic cylinder, computer printers, computer keyboards, disk drives, speed of wheels and shafts, internal combustion engine ignition timing, tachometers and anti-lock braking systems, brushless DC motors. In the presence of a magnetic field, the electrons in the metal strip of Hall Sensor are deflected toward one edge, producing a voltage gradient across the short side of the strip perpendicular to the feed current. The sensor operates as an analog transducer, directly returning a voltage. When the magnitude of the magnetic field is known, then its distance from the Hall plate can be determined. The built-in Hall Sensor of ESP32 is completely unusable outside demonstration. It requires two analog inputs A0 and A3 to have initial config. With the standard gain -11dB and a pseudo 12 bit, the analog inputs are so noisy and non-linear. The Hall Sensor is only sensitive to magnetic field perpendicular to the ESP32 metal cover. Magnetic field parallel to the board has no effect, while perpendicular to it shows the maximum effect. Oddly, magnetic field direction upwards increases the reading values, while downwards decreases the values. So it can not have any usage (and it is not usage). But, that Hall Sensor of ESP32 can disturb a circuit upon facing electric noise. Open the Serial Plotter in the Arduino IDE and check how funny it looks. This Article Has Been Shared 8196 Times! Here is How to Turn on LED on Button Press and Turn Off After a Period on Arduino ESP32. For this guide, we will use onboard boot button and onboard LED. Here is Connection & Working Code for ESP32 Arduino with DHT11 Sensor. 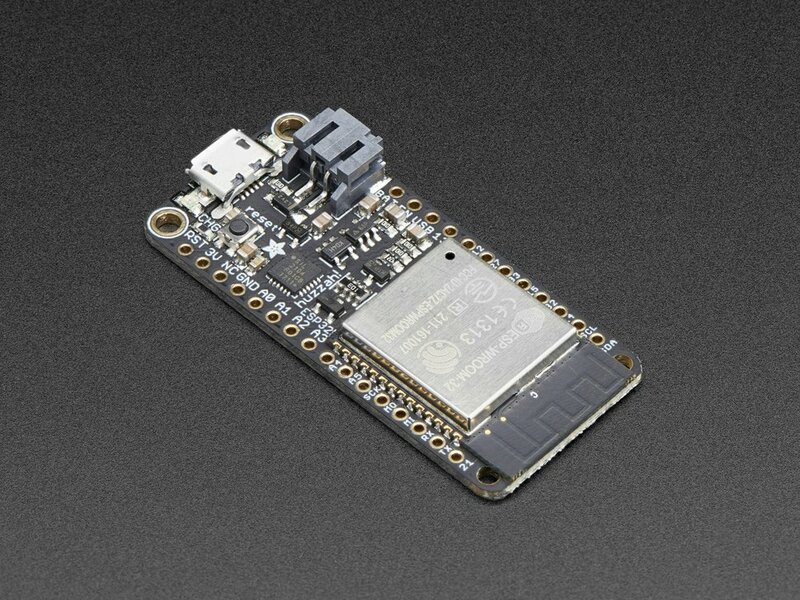 We will use Adafruit’s libraries for DHT11 and DH22 Temperature Humidity Modules. We Need to Connect Our Electric or Battery Operated Doorbell With the Project to Make it Functional. Here is How to Interface/Connect Doorbell Switch with Arduino ESP32 Pushbutton. Cite this article as: Abhishek Ghosh, "ESP32 Arduino Built-in Hall Sensor Code & Theory," in The Customize Windows, March 22, 2019, April 18, 2019, https://thecustomizewindows.com/2019/03/esp32-arduino-built-in-hall-sensor-code-theory/.